Scenario-driven requirement specifications are widely used to capture and represent functional requirements. Use Case Maps are being standardized as part of the User Requirements Notation (URN), the most recent addition to ITU-T’s family of languages. UCM models focus on the description of functional requirements and high-level designs at early stages of the development process. How a system is executed over time and how this may affect its correctness and performance, however, are introduced later in the development process which may require considerable changes in design or even worse at the requirement analysis level. We believe that timing aspects must be integrated into the system model, and this must be done already at an early stage of development. 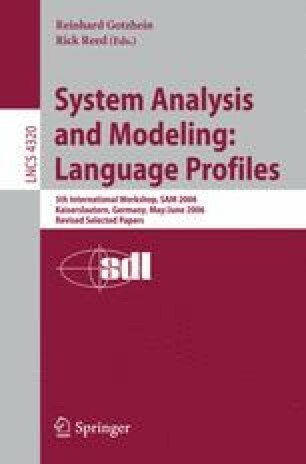 This paper introduces an approach to describe timing constraints in Use Case Maps specifications. We present a formal semantics of Timed UCM in terms of Clocked Transition Systems (CTS). We illustrate our approach using an example of a simplified wireless system.